In the previous post, I looked at mining cryptocurrencies locally and started experimenting with it on my VPS. However, I then continued to investigate mining also in cloud services. The aim was to find out whether it would be a good idea to invest in it. The first step was to find out what is the most profitable cryptocurrency to mine. CryptoCompare’s mining calculator says that today, Ethereum (ETH) and Ethereum Classic (ETC) are the most profitable crytocurrencies with profit ratios of about 700% per day. (Bitcoin and Monero have their daily profit ratios around 120%). These profit ratios were taken directly from CryptoCompare’s web page by using their default values. It seems that they are not taking any investment costs (related to the mining equipment or the service contract) into account. Also, changes in mining difficulty/1/ are left out and electricity is expected to be very cheap. So, the percentages seem to be highly inflated, but let’s assume they are consistent and it is possible to compare the mining profitability of different cryptocurrencies. So, Ethereum would seem to be the most profitable cryptocurrency to mine. Let’s then take a closer look at how profitable it would be. How profitable would cloud mining be? Let’s take a look at Genesis mining that claims to be the biggest cloud mining company with over 2 million customers. Hmm… It seems that they are out of stock for any Ethereum mining plans at the moment (as of 2012-01-10), but the plans are visible so we can check them out. (Towards the bottom of the page, there is also a nice comparison table that highlights all the costs of local mining.) A medium plan at Genesis mining costs USD 869 for two years and provides 30 MH/s mining speed. It says that there is no maintenance fee, but how about the electricity? It was a major factor in CryptoCompare’s calculator. On their ‘our-offer’ page they advertise no pool fees and cheap electricity, so I presume that the customers would need to pay for the electricity used. But how much does their mining machine consume electricity? We will need to know that to calculate the costs. I tried to find the information elsewhere, but it was not easy. However, I did find a “better” Genesis profit calculation from CryptoCompare which, I believe, is a direct advertisement from Genesis mining. It reported a return of USD 1,776 in a year. After subtracting the initial investment, the profits would then be around USD 900 (=100% per year) before taking the increased hardness into account. Let’s then dig in to the mining difficulty and see if it plays a significant role in the investment plan. It seems that mining difficulty has been rising sharply with the price as we can see from the following charts for bitcoin and Ethereum. So, difficulty can double or triple in a year, and it should have a major role in the investment calculation. It is hard to predict very exactly, but leaving it out seems to be plain wrong and to give an impression that is way too good. What have others found out? I also found out that someone else has tried to calculate the real profitability of genesis mining and his calculations showed even more modest return rates, such as 30%, for the investment (even without taking increasing difficulty into account). In the end, I found an even better article that reported that cloud mining is not such a good investment. It might give you some profits or it might not. The article is about bitcoin, but all the points raised apply to Ethereum, too. Many mining companies have also turned out to be scam companies. Companies that have looked good for a while until they have disappeared entirely. Coinstaker has been keeping a list of such companies. (See the bottom of the linked article). And finally, there might be some really nasty surprises that might hit unsuspecting miners, like the difficulty changes designed into the system that might hit you quick and hard. In the screenshot, I have marked the numbers what you should compare with red arrow, and the percent number with red circle. 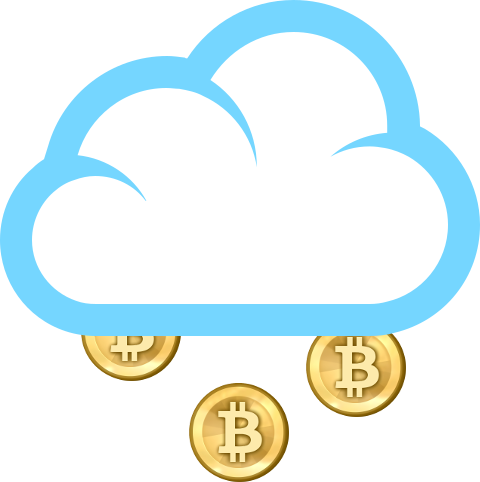 Above: Screenshot from the Anythingcrypto cloud mining calculator. Seems like I would be much better off just using my money to buy Bitcoins instead of using it for cloud mining contracts. If Bitcoin’s price goes up – I would be making more money, and if it went down, I would be losing less. Update 18.6.2018: An interesting blog article about the state of mining cryptocurrencies. Short version: ASIC rules. Update 2019-02-22: Seems that the anythingcrypto site has been nuked. I removed the link to that site, but left the url still visible. /1/ Mining difficulty means that mining will become increasingly difficult. Mining difficulty is a built-in property of cryptocurrencies to prevent technological advancement (Moore’s law) from creating hyper inflation. When the mining network’s calculation power increases due to more powerful mining machines or an increased number of mining machines, the calculations to mine one cryptocoin will come harder and thus it will take more time/resources.